Satoko Fukai is a Study Abroad Advisor in the Center for International Service and has been nominated for Outstanding Job Performance, Distinguished Deed, Creative Contribution, Exceeding the Goals of a Project and Outstanding Community Relations that Enhance the Mission of the College. 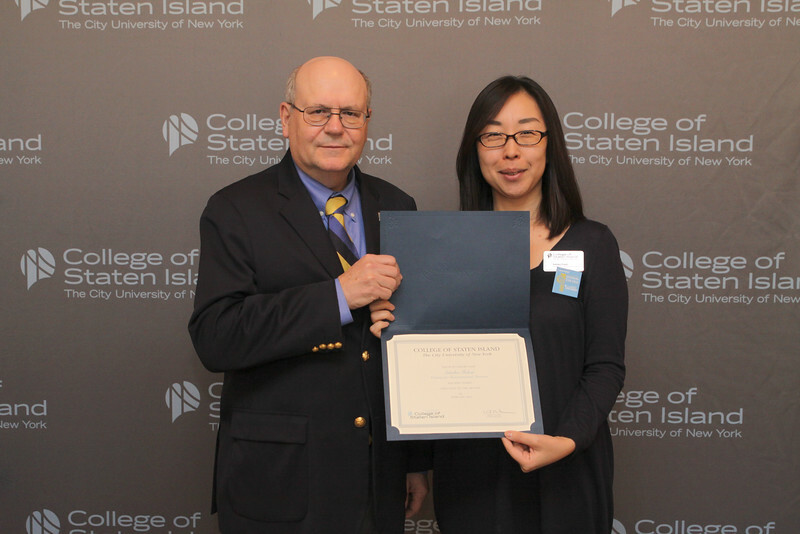 A citizen of Japan, Satoko first came to the CUNY Research Foundation in the fall of 2010 and has since promoted the Study Abroad Program. In collaboration with LaGuardia Community College, Satoko actively promoted a program called the CUNY Kakehasni Project – “A Bridge for Tomorrow”, which allowed many CSI students to be admitted to a fully funded 10-day trip to Tokyo and Osaka/Kyoto in Japan. Satoko continues to actively promote this program at CSI and is highly regarded throughout CUNY for her expertise and dedication which is evident in the increased enrollments in our semester exchange, and summer Kyoto Program.